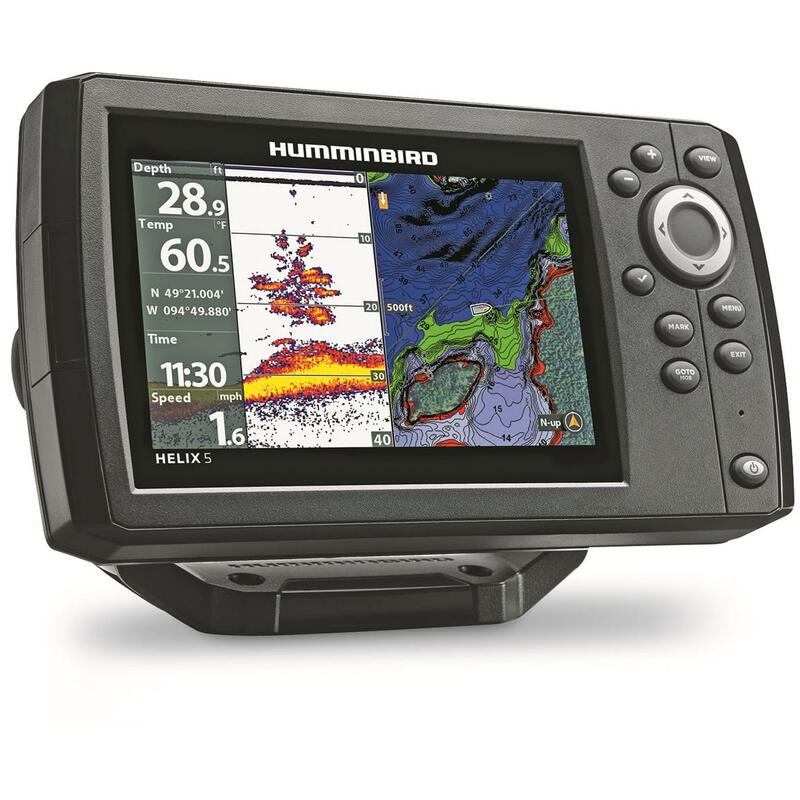 There's no such thing as a new body of water when you have a Humminbird HELIX® 5 CHIRP GPS G2 Sonar Fish Finder. When you arrive at your sweet spot, SwitchFireTM Sonar will add a new dimension to what you see beneath the boat with two unique display modes that you can adjust to current fishing conditions. Use the AutoChart® Live software to create a detailed map that includes depth contours, bottom hardness and vegetation in real-time and can be seen with impressive clarity even in harsh light conditions on a brilliant 5" diagonal color display with LED backlighting. 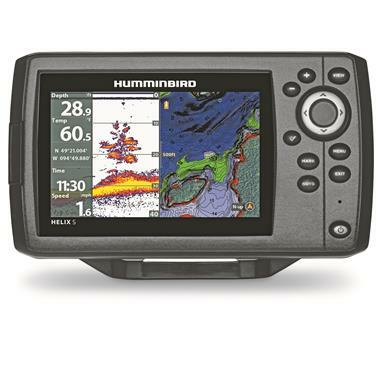 Humminbird HELIX 5 CHIRP GPS G2 Sonar Fish Finder is rated 5.0 out of 5 by 2. Rated 5 out of 5 by Jesse from Bought a year or so ago and can't complain one bit Simple to figure out, dose not weigh a ton, and it puts me on the fish. I bought for ice fishing but also use it on the boat and I couldn't be happier! 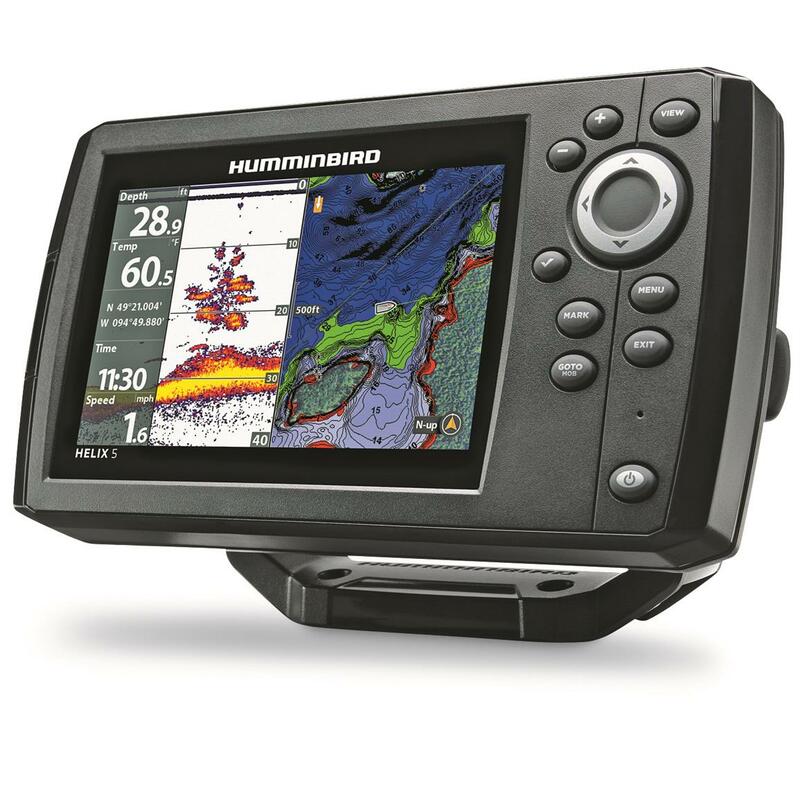 Cant wait to get the open water transducer and map the lakes I fish with the I chart live. I cant say much about that feature but the rest are really helpful in finding where I want to go and the highlights make it a breeze to stay on top of my target areas!